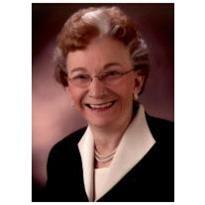 Frances Marvel, 89, died September 25, 2013 at her home surrounded by her loving family. Frances was born to C.M. and Grace Smith in Manchester, Oklahoma September 22, 1924. Coming from a small farming community, she ventured to Northwestern State College in Alva, Oklahoma where she met her future husband, John. Their marriage August 15, 1945 was the beginning of a life-long love affair and partnership. They were married for 68 joy-filled years. Frances was a warm, creative person who lifted the spirits of others. An accomplished pianist, music was central to her life. She taught private piano lessons, was an organ instructor at the University of Wyoming, and was a church organist. Her love of music inspired her children and grandchildren to pursue musical interests. From childhood until the last weeks of her life, she brought beautiful music into the world. Also, Frances was a skilled writer. She corresponded with extended family and friends, wrote charming Christmas letters, and published several volumes of family geneology. She authored Camposantos in the San Luis Valley, a description of historic Hispanic cemeteries. Her creative nature was also evident in her witty sense of humor. Frances and her husband John travelled extensively, often related to his professional responsibilities. They visited over 30 countries including several trips to Mexico. She was an outstanding ambassador, showing sensitivity to cultural differences and respect for people from all backgrounds and world viewpoints. She was particularly interested in the culture of the southwestern U.S. In college she majored in Spanish and was a life-long student of the language, often engaging in conversation with native Spanish-speakers. She was a 50-year member of P.E.O. and 31-year member of St. John’s Methodist Church. She had many interests and hobbies including piano and organ, creative writing, rug hooking, memorial stone rubbing, and genealogical research. Among the honors she received was an Honorary Doctorate from Adams State University. She is survived by her husband, John; her children Merrill Martin (Jay) of Minneapolis, Minnesota, John (Betti) of Pueblo, Colorado, and Kim (Connie) of Fort Collins, Colorado, six grandchildren, seven great-grandchildren, and many nieces and nephews. She was preceded in death by her oldest granddaughter, Kari. A memorial service will be held at 10 a.m. Monday, September 30 at St. John’s United Methodist Church. A reception will follow. Donations in her memory may be made to the St. John’s United Methodist Church Foundation, 1200 Old Pecos Trail, Santa Fe, New Mexico, 87505.